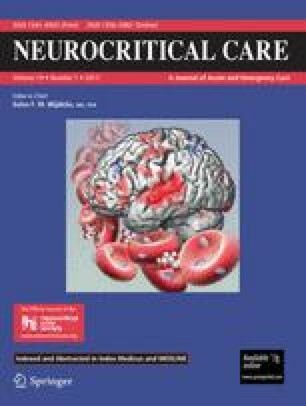 Management of Status Epilepticus in Neurological Versus Medical Intensive Care Unit: Does it Matter? Admission of patients with status epilepticus (SE) to the neurosciences intensive care unit (NICU) may improve management and outcomes compared to general ICUs. We reviewed all patients with SE admitted to the NICU versus the Medical ICU in our institution between 2005 and 2008. We included only patients with definite or probable SE based on pre-defined criteria. We collected demographic and clinical data, including severity of admission scores and adjusted short-term outcomes for admission and management in the two ICUs. There were 168 visits in 151 patients for definite or probable SE, 46 (27 %) of which were in the NICU and 122 (73 %) in the MICU. APACHE II scores were significant higher in the MICU group (17.5 vs 13.4, p = 0.003) and age in the NICU (58.3 vs 51.5 years, p = 0.041). More continuous EEGs were ordered in the NICU (85 vs 30 %, p < 0.001), where fewer patients were intubated, but more eventually tracheostomized. The NICU had a higher rate of complex partial SE and more alert or somnolent patients, whereas the MICU had a higher rate of generalized SE and more stuporous or comatose patients. Admission diagnoses also differed, with the NICU having higher rate of strokes and the MICU higher rate of toxometabolic etiologies (39 vs 12 % and 11 vs 21 %, p = 0.002). After adjustment, no difference was found in mortality, the ICU or hospital length of stay and modified Rankin score at discharge. SE treatment revealed increased use of continuous EEG in NICU-admitted patients, but without concomitant reduction in LOS or discharge outcomes compared to the MICU.